Positive return on investment was most apparent when 4-H club members presented the program at the annual Morris County 4-H Foundation Recognition Banquet in Council Grove. Incorporated in 1977, the Morris County 4-H Foundation is supported entirely with voluntary membership, gifts and memorials. 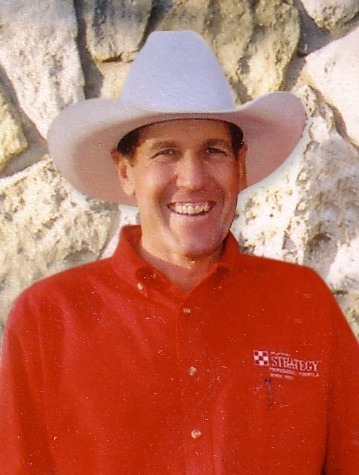 It assisted an increasing number of 4-H members in educational and leadership endeavors to be pattern for many throughout the country. 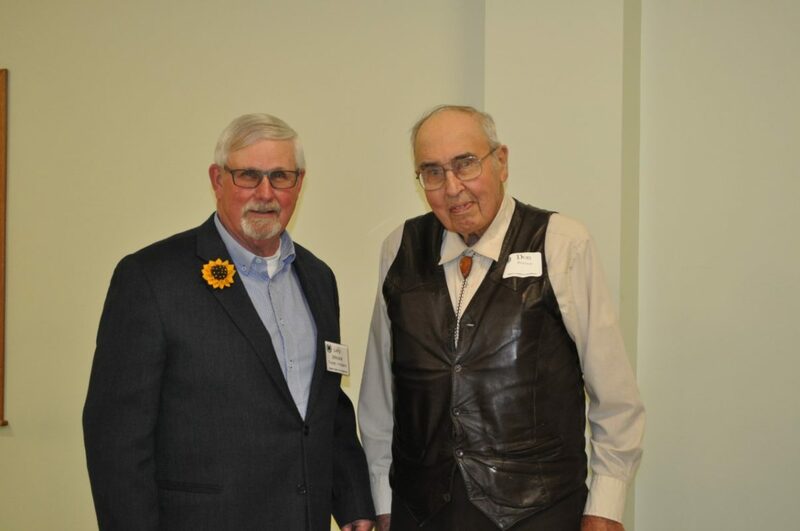 Don Peterson, the only surviving original incorporator of the Foundation, was a guest at the banquet. Larry Johnson, Foundation president, verified accomplishments of Morris County 4-H members in welcoming remarks. Guests were introduced by treasurer Larry Landgren, and trustee Cynthia Schrader coordinated and introduced the program. Cooper Andres, Dwight Sunflowers 4-H Club member, led the Pledge of Allegiance, and Castyn Andres, also of Dwight Sunflower 4-H Club, led the 4-H Pledge. Samuel Barr, Flint Hills 4-H Club, presented his 4-H Club Day blue ribbon reading, and Macey Hensley, Burdick Hustlers 4-H Club, gave her top blue demonstration. Carissa Dalquest of the Flint Hills 4-H Club delivered her blue ribbon public speaking talk, and the Flint Hills 4-H Club shared their top blue winning skit. Accompanied by Cheerie Baker on piano, Ella Kirk, Neosho Valley 4-H Club, played her flute solo which rated a Club Day top blue. Flint Hills Extension District Family and Consumer Sciences Agent Shandi Andres, with her office at the Morris County Courthouse, gave a Morris County 4-H Update. Strong growth and accomplishments of 4-H members were noted by Andres, while crediting the Morris County 4-H Foundation for making an increasing number of opportunities available to members. The Morris County 4-H Foundation has been designated for memorials upon passing of loved ones who’ve had influential affiliations through 4-H. Appreciation recognition included Donna Muller, Silver Memorial; Erma Lindgren, Bronze Memorial; and Albert Morgan, Patron Memorial. 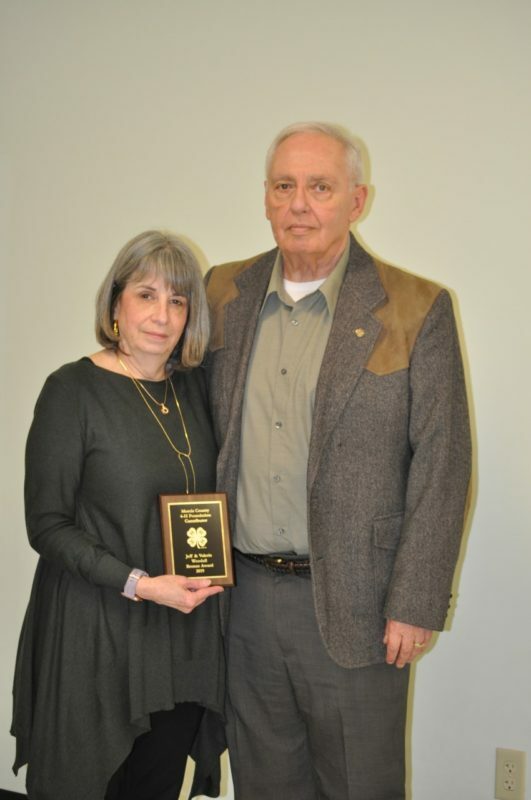 A Gold Award was presented to Jerry and Sarajane Blythe Shubert. Honored with the Silver Award were Larry and Delores Dike, Tom and Diane Jernigan, and Charles and Merry Rayl. 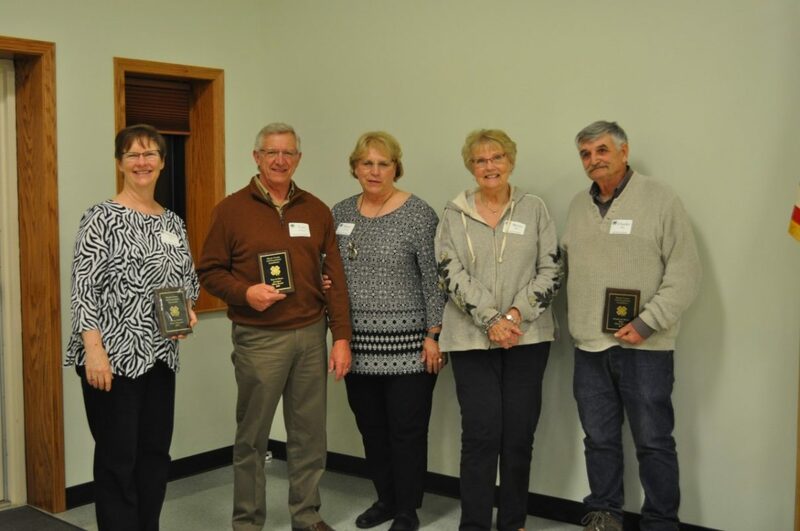 Bronze Award plaques were presented to Chris Gallaway, Jeff and Valerie Woodall, and Ray’s Apple Market. 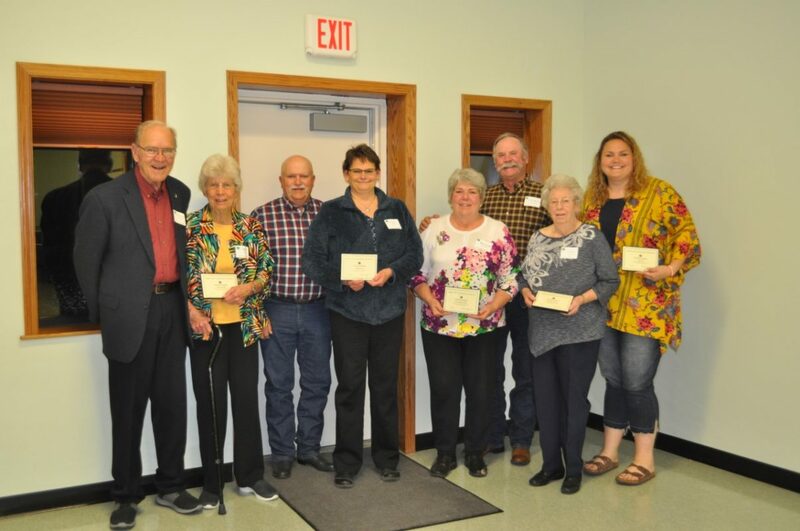 Patrons Award recipients included Mindy Andres, Dairy Queen (Lindy Corporation), Dennis and Ellen DeLay, Dale and Deborah Heideman, Douglas and Cindy Jensen, Stacy and Shelly Lautt, Mason and Lisa Lee, and Norma West. During the business session, minutes of last year’s annual meeting, as prepared by secretary Frank Buchman, were presented, and treasurer Landgren gave the financial report. Carolyn Andres and Landgren were re-elected to serve on the Morris County 4-H Foundation Board of Trustees. Mason Lee and Valerie Woodall are the other trustees on the seven-member board.